DUSHANBE (Asia-Plus) — Former deputy education minister of Kyrgyzstan, Almazbek Kadyrkulov, has been appointed as new director general of Beeline Tajikistan (mobile phone company). An official source at Beeline Tajikistan, who wanted to remain unnamed, has confirmed this information. Prior to this, Kadyrkulov had served as chairperson of the State Property Management Foundation of Kyrgyzstan, director of Open Joint-Stock Company (OJSC) Kyrgyztelecom, and Deputy Minister of Education and Science of Kyrgyzstan. VEON Ltd., a provider of connectivity and internet services headquartered in Amsterdam and serving some 240 mln customers, announced on June 8 that it has completed the sale of Tacom LLC, VEON’s operating subsidiary in Tajikistan, to ZET Mobile Limited. 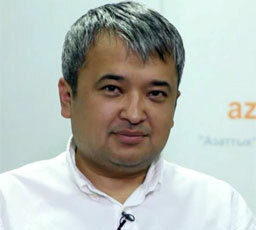 VEON had announced on April 5 that its mobile services subsidiary in Tajikistan has been bought by ZET Mobile Limited. The Beeline brand is to be retained, as required in the sale agreement. According to press release issued by VEON, divestment of the Beeline is part of company’s strategy on optimization of its telecommunications asset portfolio and withdrawal from markets where its business is small. VEON is not the first international telecommunications to exit Tajikistan’s market. Last year, Sweden-based mobile phone company TeliaSonera sold its 60% stake in Tcell to the Aga Khan Fund for Economic Development (AKFED), giving the latter whole control over the company.